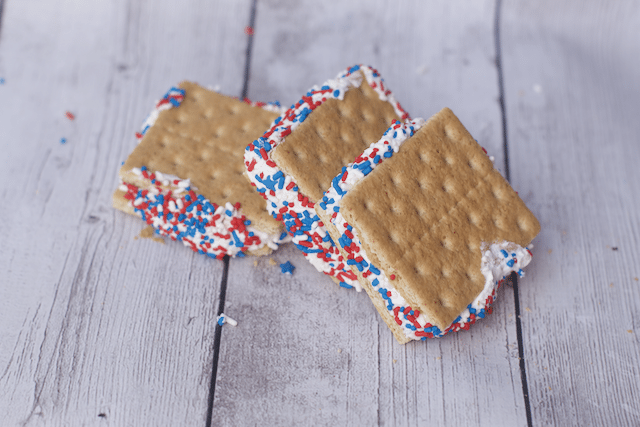 Looking for a last minute dessert to give the kids this Fourth of July? 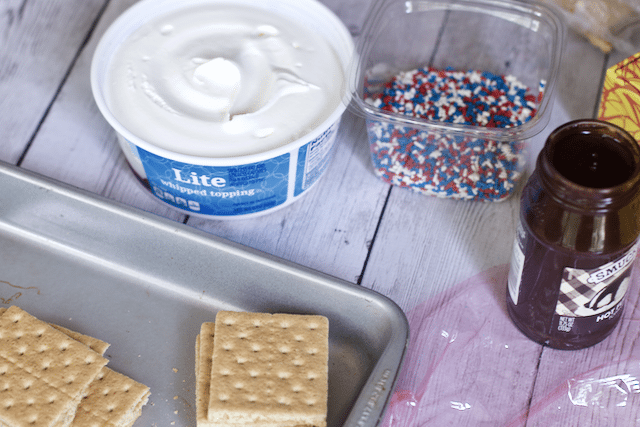 We have you covered with these super simple frozen Fourth of July Dessert Ideas. Have you heard of frozen s’mores? Well that is what I am calling them, even though there is no marshmallow involved. Basically we are using all the components of a traditonal s’mores but there is no fire needed. we are using ice cream fudge, graham crackers, whipped frozen topping and red, white and blue sprinkles. Instead of having a chunk of chocolate of chocolate that needed to be melted, we went with a generous slather of hot fudge topping. Make sure it’s the thick stuff!! Lather a generous portion of fudge on one square of graham crackers. If you like chocolate go ahead and do both sides. Then carefully plop some defrosted whipped topping to your graham cracker. 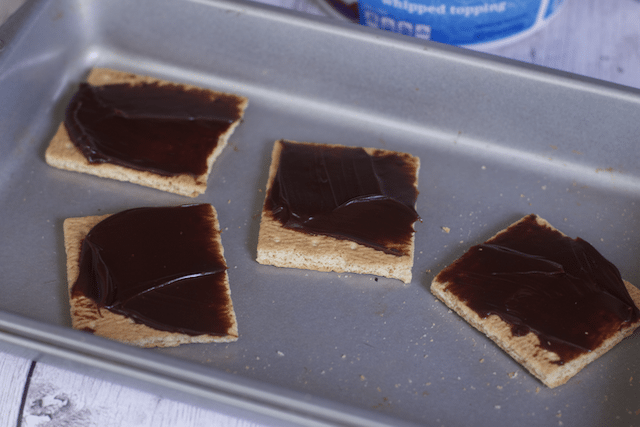 if you try to do too much, it will make a huge mess when you add the top graham cracker. 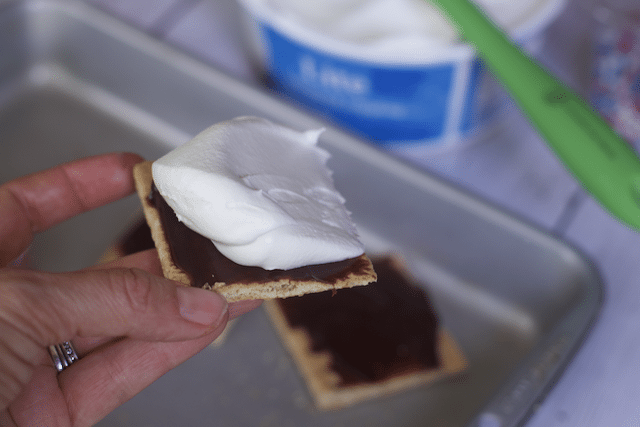 Now for the messy and tricky part of these frozen s’mores dessert. 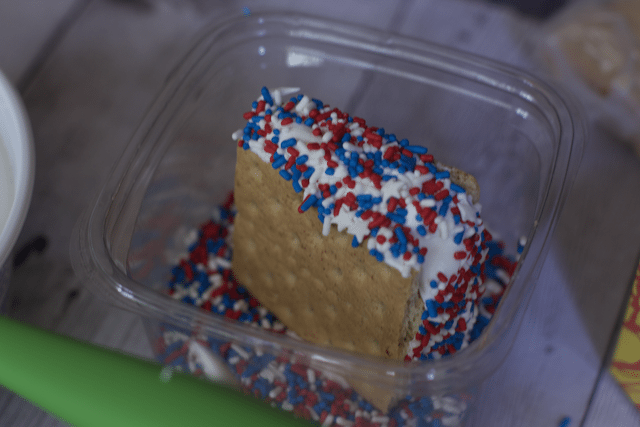 Add the graham cracker topping and then roll into red white and blue sprinkles. Don’t squeeze too hard or it will all goop out of your sandwich. Immediately wrap in plastic wrap, place on a cookie sheet and freeze for about 1-2 hours or overnight ideally. You can place them all on a cookie sheet and then cover with plastic wrap as well. 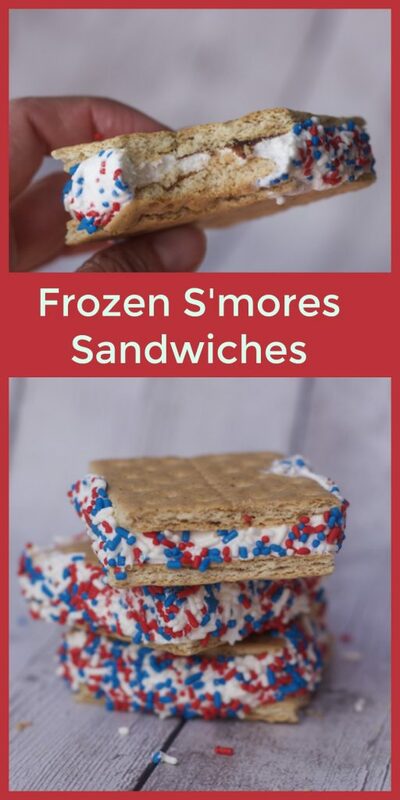 Then get ready to bite into a frozen s’mores treat. 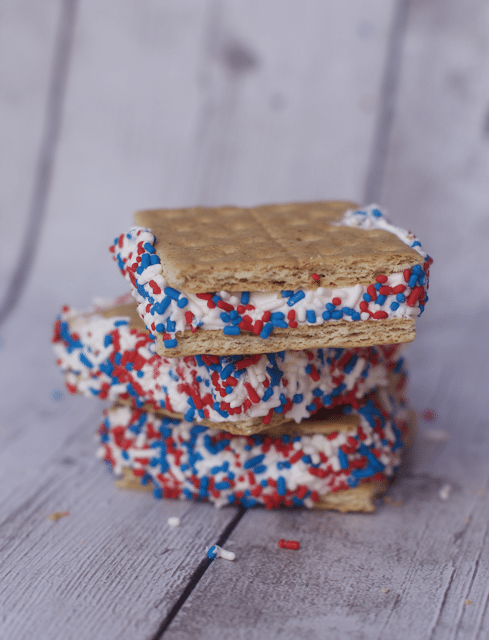 The perfect 4th of July treat with the colorful sprinkles. Of course you can choose any type of sprinkle depending on the occasion. Be sure to pin this to remember next time you want a simple, make ahead dessert for the summer. 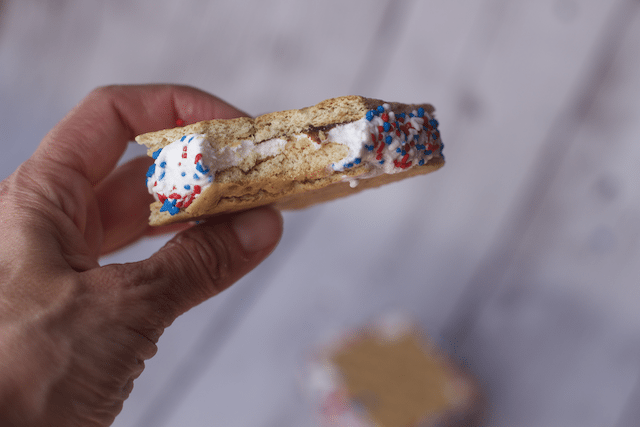 What do you think about these frozen Fourth of July s’mores dessert idea? Would your kids love them?